I know I am not alone. Each day we throw out food that we believe is past its prime, all because of that tiny, hard-to-read six-digit death sentence called the expiration date. But date labels are a modern mystery. For starters, the wording is confusing and inconsistent — no one knows whether “sell by,” “use by” and “best before” all mean the same thing. How much flexibility there is with the dates often plunge us into the metaphysical: Does the milk know to spoil at the stroke of midnight? Will time dilate if I move the chicken to the freezer? How can unopened wine go bad when it’s supposed to get better with age? We don’t know and we don’t want to take our chances. When in doubt, we toss it out. According to a United Nations study, over a billion tonnes of food is lost or wasted worldwide every year. 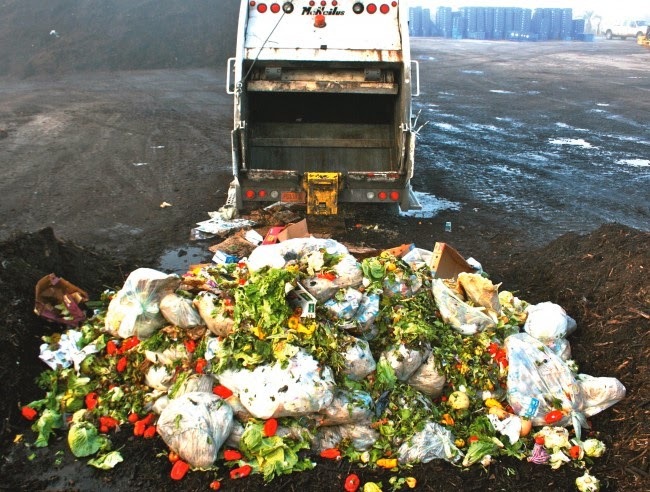 In America, as much as 40% of all the food produced — worth US$165 billion annually — ends up in the landfill. A recent Harvard University study finds that a major driver of food waste is expiration date confusion. Over 90% of Americans prematurely throw away edible food because they misinterpret food dates. One in five consumers mistakes the date of manufacture (which is used by factories for record purposes) or the “sell by” date (which is used by retailers for inventory control) for the expiration date. The main culprit is the lack of government oversight. 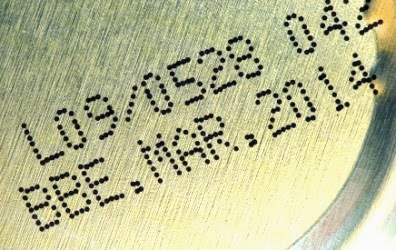 With the exception of baby formula, date labels are neither required by law nor regulated by the Food and Drug Administration. Folks in Asia don’t fare much better either. In Hong Kong, for instance, the city produces 8,700 tonnes of solid waste every day, 40% of which is uneaten food. 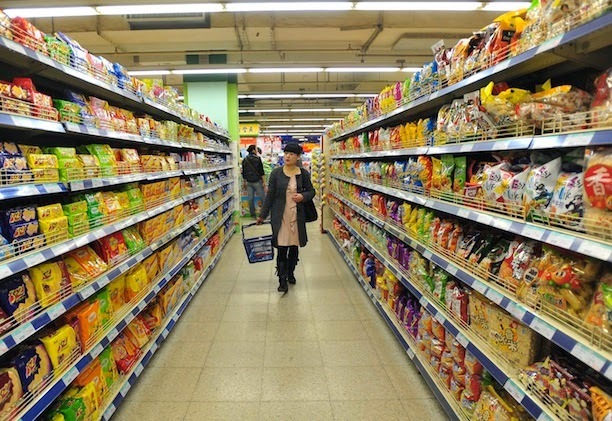 The problem is exacerbated by large supermarket chains that pull items off the shelves days before the sell-by date in the name of consumer protection. Friends of the Earth, a local watchdog, estimates that about a third of what stores throw out — around 30 tonnes daily — is still edible, an amount enough to feed over 48,000 three-member households for a day. Worse, supermarket chains are known to destroy food that is close its expiration by shredding it or soaking it in chlorine to discourage waste-pickers from taking it home. They weren’t joking when they said there is no free lunch in Hong Kong. To properly understand expiration dates, we have to go back to the 1970s when date labeling emerged as part of the consumer rights movement. The dates were introduced by the food industry — and adopted voluntarily by manufacturers — to convey freshness. They indicate the period within which a product is at its peak, when it looks and tastes the best. Just because the food is no longer in its prime, however, doesn’t make it unsafe to eat or even taste bad. 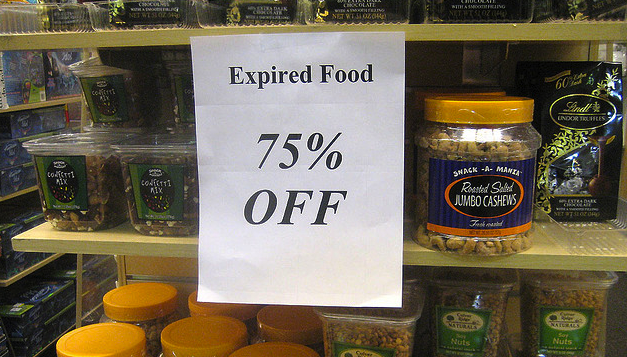 In other words, expiration dates are about quality instead of safety or public health. But perhaps because we urbanites are so far removed from food production, we choose to believe otherwise. Little do we know that most food-related illnesses are caused by contamination during production and delivery — by pathogens such as E.Coli and salmonella — instead of the passage of time. It didn’t take long for food manufacturers to notice that confusion and paranoia can be very profitable. Over the years, they began to put an expiration date on every product, even things that last a very long time like vinegar, honey and salt. The logic is simple: the more food we throw away, the more money we spend on replenishing it. Exactly how food manufacturers come with up these expiration dates is also a point of contention. 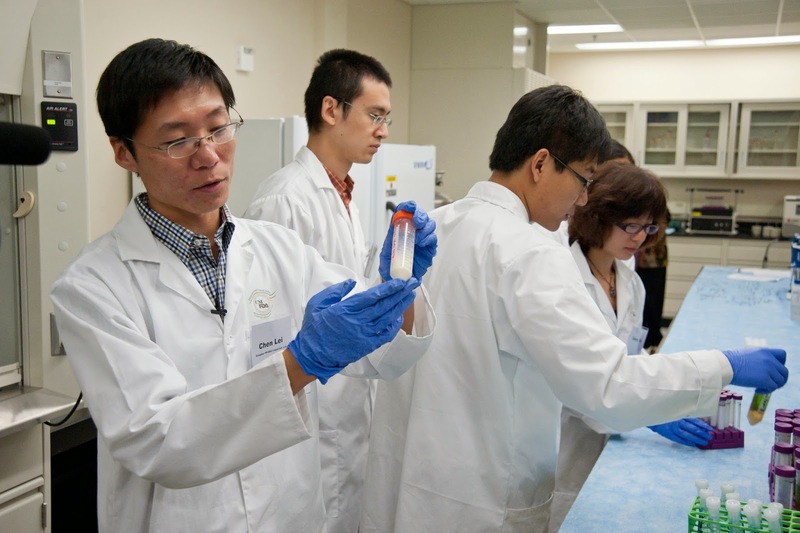 Consumers assume that a team of experienced scientists in white lab coats is stationed at every factory to perform elaborate tests on food. They can’t be more wrong. According to the Natural Resources Defence Council, 80% of all expiration dates are guesswork. Most small- to medium-sized companies lack the resources to conduct proper studies and they simply pick a conservative date to avoid lawsuits. As for multinational giants like Kraft and Nestlé, they take food dating more seriously but the devil is in the details. When determining shelf life, they build in a safety cushion by assuming that their products will be handled by the most irresponsible consumer: those who let their milk sit on the kitchen counter for hours or leave their potato chips under direct sunlight. And why not? No one will complain – or even notice — if the expiration date turns out to be too short. That, combined with increased sales from premature disposals, make short-dating a win-win proposition for food companies. That takes me back to my household routine. I have decided to kick my old habit and rely on my own judgment instead of blindly following the white labels. For milk, bread and raw meat, I now add a three-day grace period. Things like potato chips and candy bars get an extra month or two. For more shelf-stable items like canned food and condiments, I simply ignore the expiration dates and revert to the time-honoured smell test. After all, our five senses are our best tools to determine what’s safe to eat. Millennia of evolution have given the human species the instinct to tell good food from bad, the same ability on which our grandparents relied before there were supermarkets. Besides, isn’t that what we do when we buy undated produce from street vendors or at the farmers’ market? The idea of ignoring expiration dates may be difficult for some to swallow. But one man’s discarded food can be another man’s meal. For the germaphobes among us, they can pack items like expired canned soups and instant noodles neatly in a box and leave it outside their backdoor. Someone — whether it is the garbage collector or an environmentally-conscious neighbour — will pick it up and decide for themselves whether it is good to eat. That’s the same concept as the dozens of so-called “expired supermarkets” in America that sell just-expired food at deeply discounted prices to low income families. Yet, the best way to play the dating game is by trimming. We can substantially reduce food waste simply by buying less, despite the temptation to shop in bulk to save a few bucks or avoid an extra trip to the supermarket. Doing that will not only reduce carbon emission from waste disposal, but also cut down our grocery bill. Food waste may be a first world problem, but it hardly requires a first world solution. Read also Part 1 of this article: The Hunger Game. This article was published in the April 2014 issue of MANIFESTO magazine under Jason Y. Ng's column "The Urban Confessional."